Neill Blomkamp has made three feature films. District 9 was great. Elysium was good. Chappie was bad. This seemingly downward spiral in the cinematic quality of his work is very alarming (especially to fans of science fiction). I'm quickly reminded of M. Night Shyamalan and his tragic fall from grace. It's difficult to digest the fact that the guy who made The Sixth Sense went on to make tasteless dishes like The Happening, The Last Airbender, and After Earth. The sci-fi fan in me can only hope that this Shyamalan curse doesn't impose itself on the very talented Neill Blomkamp. Luckily, there's a good sign that Blomkamp is up to great things. That is if you consider the absolutely fantastic short film he just released free on YouTube and Steam. Called Rakka, the film is set in the year 2020 in a post-apocalyptic world wherein humans have been reduced to cattle and guinea pigs by aliens. It's not exactly a cliche-breaking concept but it has its own feel and atmosphere under the guidance of Blomkamp. Almost everything is unique: the reptilian appearance of the aliens and the way the aliens subjugate and control humans. Rakka is produced by Oats Studios, a Canada-based film studio that was also started by Blomkamp. It's one of a series of short films that the studio plans to release in the coming months. These short pieces may serve as the foundation for full feature films in the future. 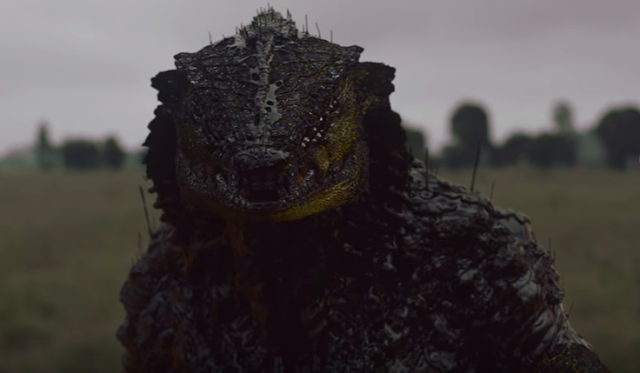 If there's a filmmaker who can transform a short film into a full-blown one, it would be Blomkamp. After all, his most well-known work (District 9) was an expanded version of a short piece (Alive in Joburg). We were once mankind. We were humanity. And now, we're no more than pests. Vermin. They came here to exterminate us. They took our history and culture. They covered our landmarks in dying humanity. The wail of the dying carried for miles. They're building some kind of breeding facility for those that survive. People that have defected says it's worse than hell, humans becoming some kind of surrogate incubators for the alien young. They killed us in waves when they first arrived. They built these mega-structures that spew methane, manufacturing their atmosphere. They've sown their crops, snuffing out our plant life, raising the global temperature, causing our cities to flood. They waged war on Earth. They set fire to our forests. It's already hard to breathe...impossible to breathe if you are close to the stacks. Rats, insects, humans, they hack into our psyche, into our minds, paralyzing us, taking control of the cerebrum and the limbic system, rendering us as slaves. We've been able to design a brain barrier that protects us from their influence. They know we can't produce enough of these for everyone, that it's just a matter of time before the entire planet is theirs...but we're survivors. Scrounging enough to eat, gathering enough morale to fight. I wonder if deep down, each person knows we're already dead. I wonder if only one, sick, primordial instinct keeps marching us forward aimlessly. Every rational thought tells us it's over. Every vile, deceptive, chemical emotion tells us it isn't. We are sold a different story by our politicians. Every once in a while, something goes our way. Just one in a thousand. Just enough to keep fighting. A glimmer of hope. People will pay for this. They always do. Even for small victories, it would seem that everything was lost. Humanity would soon cease to exist. Until they arrived, like angels carried on the rays of the Aurora Borealis. Like a biblical salvation. The new world altered everyone. Adapt or die, it was as simple as that. In the old world, Nosh would have been locked up. A pyromaniac, a bomb-maker but here, he not only survived, he thrived. Nosh could make just about anything out of scavenged junk. Bombs, brain locks...anything. We needed him, and he knew it. Some sick people in exchange for Nosh's item. In peacetime, such an offer would be insane. Immoral. But now...anything's possible. We picked up Amir in Sector 7. At first, they thought he was dead, some refuse from one of their experiments. This world had changed all of us...but Amir had been reborn...with something entirely new.